Prescott Valley Arizona is home to almost 45,000 people. With so much culture and variety of attractions here it’s no wonder why Prescott Valley and the surrounding areas are growing so rapidly. Whatever it is that is bringing you here or taking you to another community in Arizona, we want to be a part of it. We have been providing professional moving service for Prescott and Prescott Valley since 2002. We are family owned and operated right here in Arizona. Which means you will receive only the best care and special treatment that only family can provide. 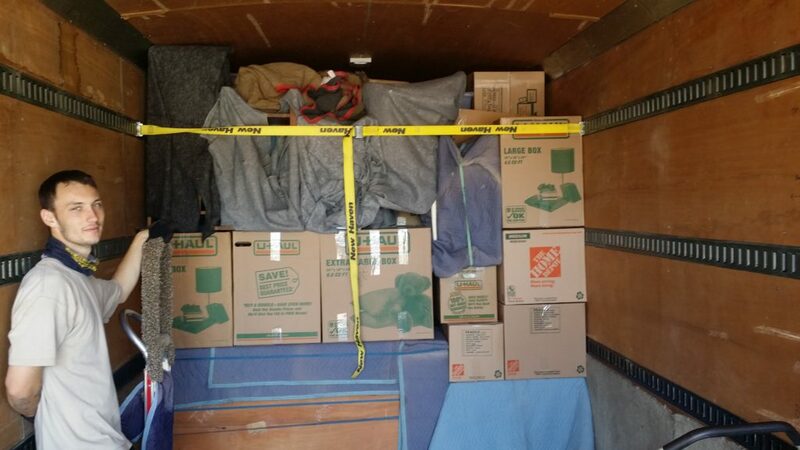 We provide moving service to the surrounding areas including Prescott, Dewey – Humboldt, Mayor, Chino Valley, Paulden, Cordes Lakes, and all of Arizona. We have the lowest damage claims in the state of Arizona and the highest customer rating which comes as no surprise with our extensive company training program. We specialize in customer care and provide top quality professional moving services. We are experienced and knowledgeable of the moving challenges that our area has to offer. Treat yourself to best moving experience you can have, you deserve it. Moving from one residence or office to another is both exciting and stressful. On the one hand, you look forward to the new surroundings. But at the same time, you are worried about all the work that needs to be done. On top of all the packing and organizing, there is the matter of loading and off-loading all that furniture. And what about getting a truck that accommodate everything? The good news is that you can contract professional moving services. Of course, each will have their own way of getting things done, and their services will differ. But if you want to make this the most comfortable move possible, you want to look for a service with extensive options. This means you can use the service according to your budget. You will also be interested to know that professional moving services make use of trained employees. In other words, the movers and packers that show up won’t just respect your space and belongings, but they will handle everything with great care. This way, you can be sure everything will reach the new destination in the same condition it was loaded. For those who choose to get some assistance with the packing, organized professionals show up with all the materials and supplies to help get the job done. An experienced service will do the packing in a such a way that everything is clearly marked. For example, if you need the boxes for the bathroom, they can be spotted between an ocean of boxes. You might also be interested in the unpacking service after everything has been moved. That’s right, professional services can even include unpacking services, but you have to use the right one. Do you have furniture that requires extra special attention? This could be a piano or an expensive painting or sculpture, and the last thing you want is to see any damage as a result from moving. This is also why you require the services of professional movers. They know exactly how to approach expensive items and belongings. In addition to having the equipment and skills, they have the right form of transportation. And what about furniture that requires assembling at the new location? Or do you prefer struggling with these when you should be enjoying your new office or residence? With professionals, you can get the option of having them do the assembling for you. All you have to do is show up. If you want to save yourself the trouble of shopping for the right boxes and supplies, consider consulting with professionals. They will help you get the right sizes and materials. Given that they help with moving people every day of the week, they know everything about the best boxes and supplies for a specific situation. At the end of the day, you take most of the stress out of the equation when you make use of professional moving services. Letting professionals handle everything from the packing to the moving will see you only enjoying the move, as supposed to stressing about it every second. Of course, you want to make those objective comparisons in terms of affordability.